Home » James Wxxxx,J.D., Jeanne Wxxxx, R.N. James Wxxxx,J.D., Jeanne Wxxxx, R.N. 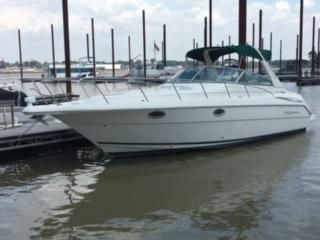 Jeanne and I would be remiss if we did not formally thank you for selling our Monterey 322 Express Cruiser boat. You were the consummate “pro” and you did exactly what you said you would do and when you would do it! You displayed impressive knowledge of used boats and the resale market. You were a pleasure to work with and you worked diligently to sell our boat in less than one-third the time and at a better price than we anticipated. Your experience, integrity and knowledge of the nautical “tricks of the trade,” were impressive, indeed!